Can you suggest a dye fixative for a dye bleeding problem with a black and white polyester dress? Hello and thank you for all the helpful information you provide on your blog. 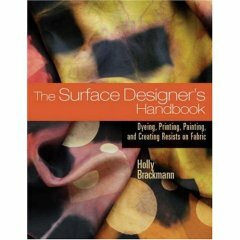 Can you suggest a dye fixative product I might try for a dye bleeding problem I have with a black and white (color-block style) polyester dress I recently purchased? Background: I bought the dress and machine washed it as specified, but ended up with the white turning gray-ish. Fortunately, I was able to exchange it and get another, but I want to “fix” the dye prior to washing to avoid the white turning to gray on the new dress. Unfortunately, I don’t know what type of dye was used to dye the fabric so I am unsure as to what fixative might work; the dress is an inexpensive dress so the dye used is likely inexpensive as well. Is Retayne a product that might work? Or Synthrapol? Something else? Also, would either product work in cold/cool water (I believe using warm/hot water is only going to exacerbate the white to gray bleeding problem)? I’m afraid there is no fixative that you can use on a polyester dye. Unfortunately, Retayne does not work on polyester dyes. Choose from sixteen vibrant colors for use with polyester and nylon fabrics. 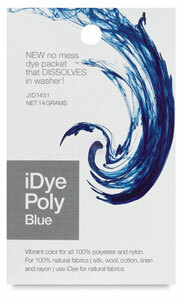 iDye Poly and iDye can be mixed for polyester/nylon blends with natural fibers. We do know the general kind of dye that was used to dye your dress, because it is made of polyester. The only kind of dye that works on polyester is disperse dye. (See my page, Dyeing Polyester with Disperse Dyes.) Disperse dye does not bond directly to polyester, chemically; instead, it more-or-less dissolves into it. We don’t know exactly which disperse dye was used for your dress, but we can guess that either it is a less-washfast type of disperse dye, or that some steps may have been skimped on in manufacture. Some disperse dyes are described as being high-energy, while others are medium- or low-energy. Higher-energy disperse dyes require more heat to move within the fiber, and as a result are likely to be more washfast in hot water, though they are less suitable for use as transfer dyes. Proper dye application is important, too; in commercial dyeing, loosely bound disperse dye on the surface of the polyester is removed by a process called reduction clearing. Perhaps something went wrong there. Not all disperse dyes stain when they run; some disperse dyes tend to turn into colorless compounds when they migrate out of the fiber, under the weak alkaline conditions of most laundry detergents, resulting in far less trouble with staining. None of these are factors that we can control now. They are only reasons to speculate about, when wondering why some dyed polyesters are more washfast than others, as supplied by the manufacturers. 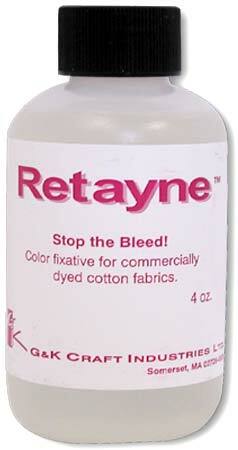 Retatyne is a cationic dye fixative. It works by using its positive molecular charge to “glue” negatively-charged dye particles to negatively-charged textile fibers. Its best use is to make direct dye, as well as all-purpose dye (which contains direct dye), attach more permanently to cotton and other cellulose fibers. Without Retayne or another cationic dye fixative, all-purpose and direct dyes bleed badly whenever they are washed, often ruining other clothing if the colors are not washed separately, and they tend to fade quickly as a result. However, in contrast to cotton dyes, disperse dyes do not have an overall molecular charge, positive or negative, so a charged molecule like Retayne will not have any effect on them. Synthrapol is a detergent, which means that it can help to suspend oily particles in water. 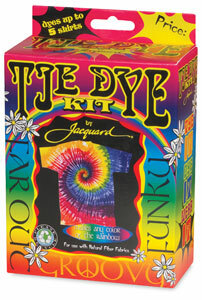 It’s nice for dyeing because it is free of added dyes, perfumes, and other additives, and because it has a neutral pH. Most laundry detergents have a high pH, but, since high pH is effective in helping to fix fiber reactive dyes, and also since high pH tends to be damaging to protein fibers such as wool and silk, using a detergent with a neutral pH avoids complications. It also avoids problems in discoloring cyanotype-printed fabrics, since it is free of the phosphates that are found in many laundry detergent formulations. None of these valuable qualities of Synthrapol will make it any more useful than any other detergent at removing excess dye from your dress. If you had a solid black dress, you might find that washing, especially in hot water, would be helpful at ridding it of excess dye. Black dyes of any class are more difficult to wash thoroughly enough to get all loose dye out, because more dye must be used, no matter what type of dye it is, to make a good deep black. Lighter colors are obtained with smaller amounts of dye, so there is not nearly as much excess dye to wash out. The fact that your dress is a mixture of black and white means that it is too late to try to wash out excess dye. Anything you do to remove excess dye from the black parts of your dress will endanger the white parts. The excess dye should have been removed before the dress was ever assembled. It is possible that your new dress might have been made in a new batch, with better dye than the previous one, or with better dyeing techniques, but I would be afraid to assume so. It seems unlikely. Perhaps you should refrain from washing the new dress at all, and have it dry-cleaned, instead. Many dyes that run in water washing will stay put in solvent cleaning. There is no guarantee that you won’t have the same problem of dye running with dry cleaning that you had with water washing, but it is something to try. If you used warm water when you washed the first dress, whose dyes ran, then you might be okay with instead washing only in cold water. Dyes in general run more in hotter water than in cooler water, because heat reduces the property of dyes called substantivity, which is their tendency to associate with the fiber. This is why we are careful to wash less-washfast dyes only in cold water. The same dye that may be almost washed out in hot water may stay put for quite a long time if washed only in cold water. If the dye in the second dress runs even if only dry-cleaned, or if only washed in cold water, whichever you are willing to do, then the dress is hopeless. There’s nothing else you can do at home to keep a non-washfast disperse dye application from running. This entry was posted in dyeing polyester, fixing dye on July 27, 2014 by pburch.